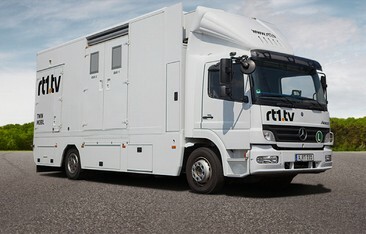 With its state-of-the-art fleet of broadcasting vehicles, rt1.tv is among the leading providers of satellite-based live transmissions in Europe. Whether sports, shows or politics – we are on site and will bring your major event to life. 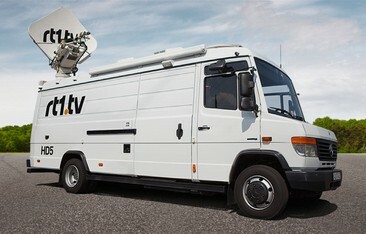 Our HD vehicles transmit and receive MPEG2/MPEG4 signals (in line with applicable EBU standards). Using professional live broadcasting, our OB Vans and SNGs ensure high-quality and secure satellite connections. 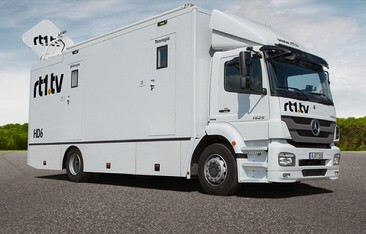 The varied equipment of our mobile units guarantees optimal configuration options for your specific requirements. 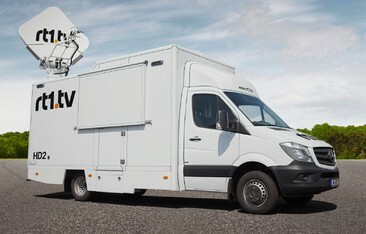 High-quality audio and vision mixing for multi-camera productions or one or more edit suites – we offer suitable production equipment ensuring optimal broadcasting processes. 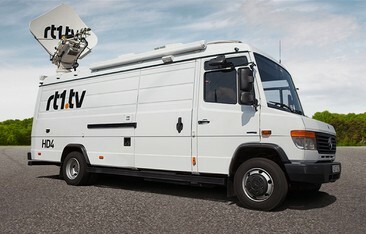 From our locations in Augsburg, Berlin, Cologne and Munich, we are on site in no time – for live broadcasts from Germany and any other European site. 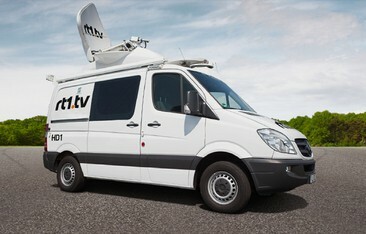 Thanks to our extensive transmission technology, we can also offer complex networks allowing for live reporting from parallel locations – e.g. 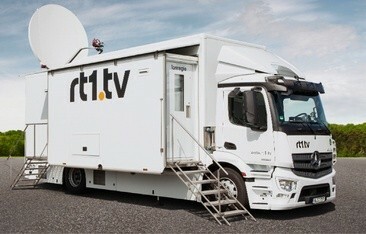 for your news, shows or PR events.